UniPay Payment Management Platform’s latest partnership makes UniPay the Industry’s Leading Processor Agnostic Payment Management Platform not only due to features, but also in geographical scope of operations. New York, NY – (August 13, 2014): United Thinkers, a New-York based commercial open-source Payment Management Software provider, announces new partnership in Dubai, UAE, as well as pending European Processing Integrations. In recent months UniPay Gateway, the flagship product of United Thinkers, has been used by Enterprise Merchants, Payment Facilitators, and Software Companies in North America and Australia, the addition of operations in Asia will add to the geographical span of the product usage. The UniPay platform facilitates transaction processing in Europe, North America and Australia, while in the future the company plans to expand its transaction processing operations to South America and Africa through its Partnership Licensees..
“As a result of the payment processing industry market consolidation, companies around the world face similar problems, so we are trying to come up with universal solutions for everyone. Recently, we’ve been getting many requests from countries, where online payment industry is rapidly developing, particularly, from South America and African continent. At the beginning of 2014 we signed our first partnership in Australia. With the coming partnership we are expanding into the Middle East, while in the nearest future we are planning to develop new integration partnerships in South America and East Asia” says United Thinkers President Eugene Kipnis. Presently, existing deployments of UniPay platform facilitate transaction processing in North America (including Canada) and Australia. Active platform integrations are underway in Europe (including UK), Asia and South America. 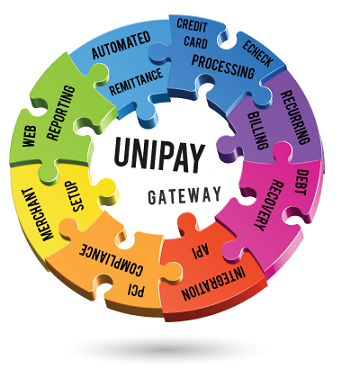 The two main components of UniPay are UniCharge and UniBill Modules. The UniPay UniCharge Module is an advanced Processing and Remittance Engine supporting advanced functionality needed for transaction processing through a wide network of Processors and Gateway Partners. UniCharge supports critical features for Payment Facilitators around Underwriting, Automated Merchant On Boarding, Risk and Fraud Mitigation, Tiered Remittance Tools for Merchant Funding, Automated Revenue Sharing and Commissions ACH Drafting, as well as Integrated Electronic Chargeback Management.